Life expectancy is on a steep upwards curve; but if we do live longer then we need to do everything we can to make sure that we live well to a ripe old age. This is a book about what the medical obstacles are to a healthy old age and what we can do about them. 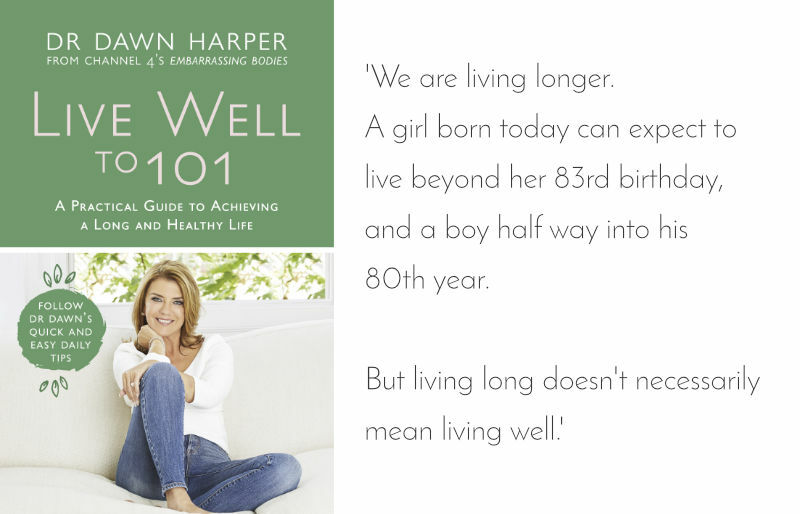 Dr Dawn offers simple, practical advice alongside case studies of centenarians who live a full and healthy life. There are steps that we can all take, starting now, no matter what age we are each at. It’s a bit like a pension; the earlier you invest the more you will have in the bank later. And there are lessons for all generations. There is nothing in here that will recommend a hideously restrictive diet or living your life as though you are training for a marathon or about to climb Mount Everest. Instead, it’s about showing how small, achievable and sustainable changes really can alter your future. With over 21 years in General Practice, Dr Dawn has gained hundreds of simple tips, all of which can make a substantial difference if practiced as part of daily life. Is your lifespan simply predetermined by your genes? Can a healthy lifestyle dramatically improve your chances of reaching a very old age? Is longevity affected by where you live, the car you drive, your choice of pet or your level of sexual activity? Can you pay your way to living longer with private healthcare or expensive medical scans?